We do financing, all kinds of financing. Mortgage Brokers, in general, will always find the lowest mortgage rate, but that doesn’t mean that it is your best solution. The mortgage that works best for your siblings, work mates, friends or family doesn’t mean it will be the best option for you. 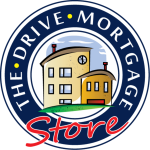 The Drive Mortgage Team will take the time to find out about you, your needs, and especially about your desires. It is one of your largest financial investments, your home, getting it right is worth the attention. Investors building wealth through revenue property will serve their portfolio best with a strategy, let us help. If you want to meet face-to-face or over the phone we will accommodate you. We know your time is valuable and we want to make financing the least worrisome part of your plans. Call us (604-258-8897) today so we can work for you! Give us a call to chat about your mortgage options and how you can make your mortgage work for you!